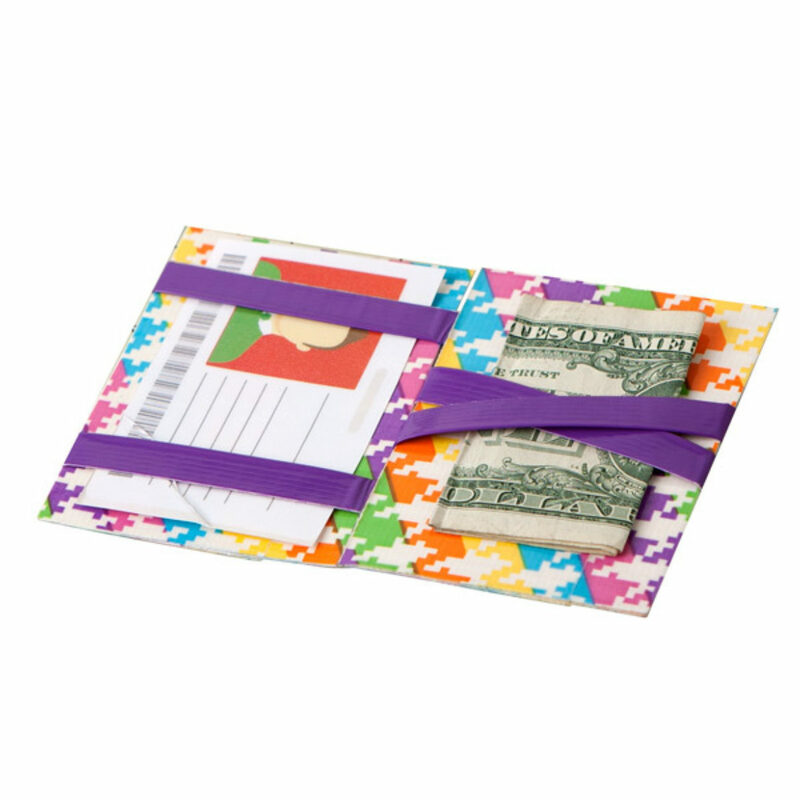 Take the magic of Duck Tape® wherever you go with this customized flip wallet. Cover all the edges of your foam in Duck Tape®. 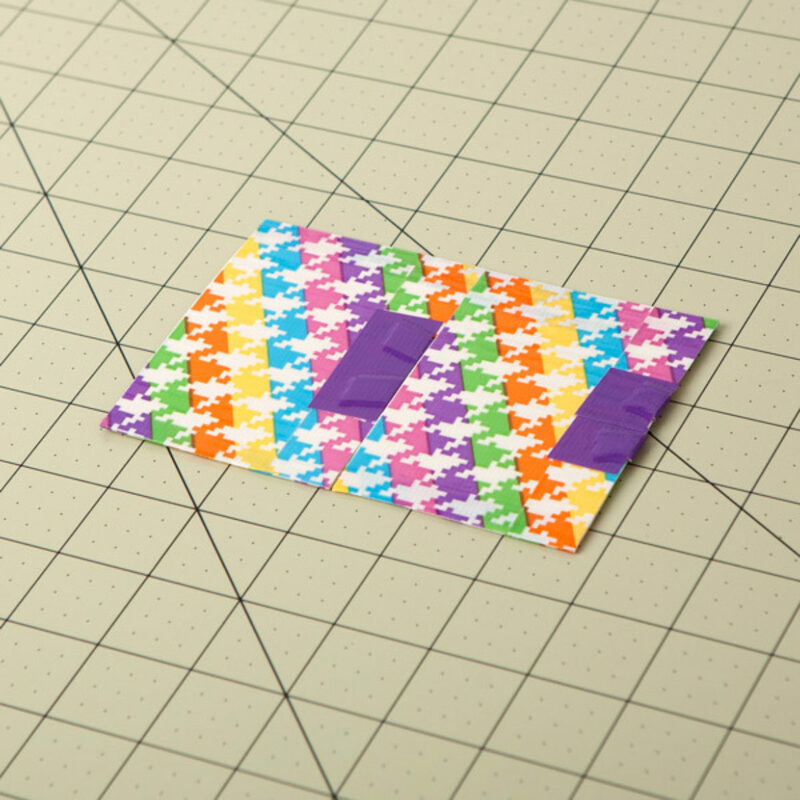 Cover your card stock in Duck Tape®. Repeat steps 1-2 to make a second piece. 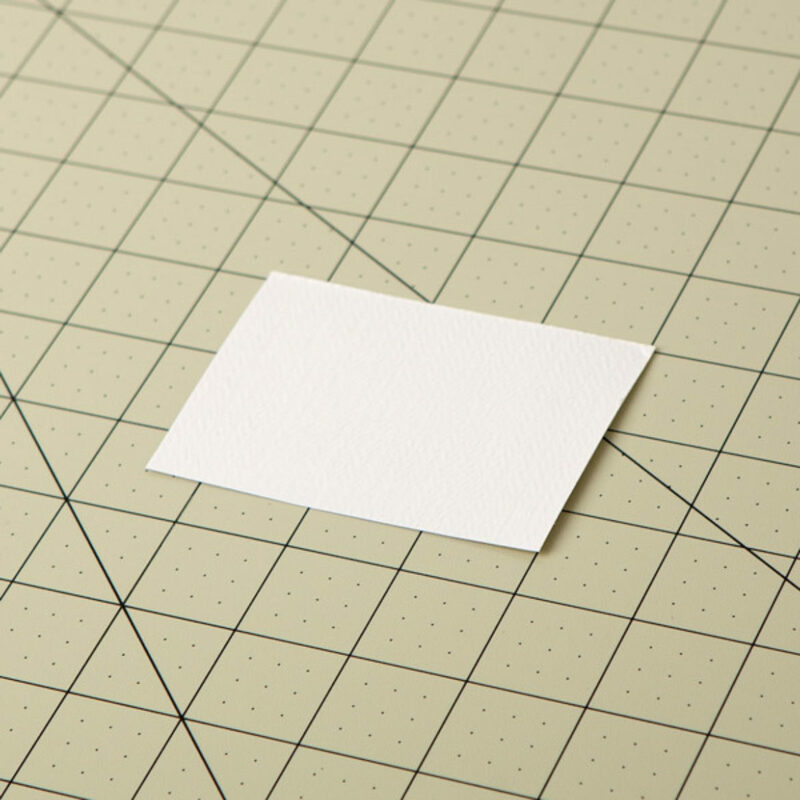 Make a double sided 4.5 in. long strip of Duck Tape® and cut it into 4 equal strips. 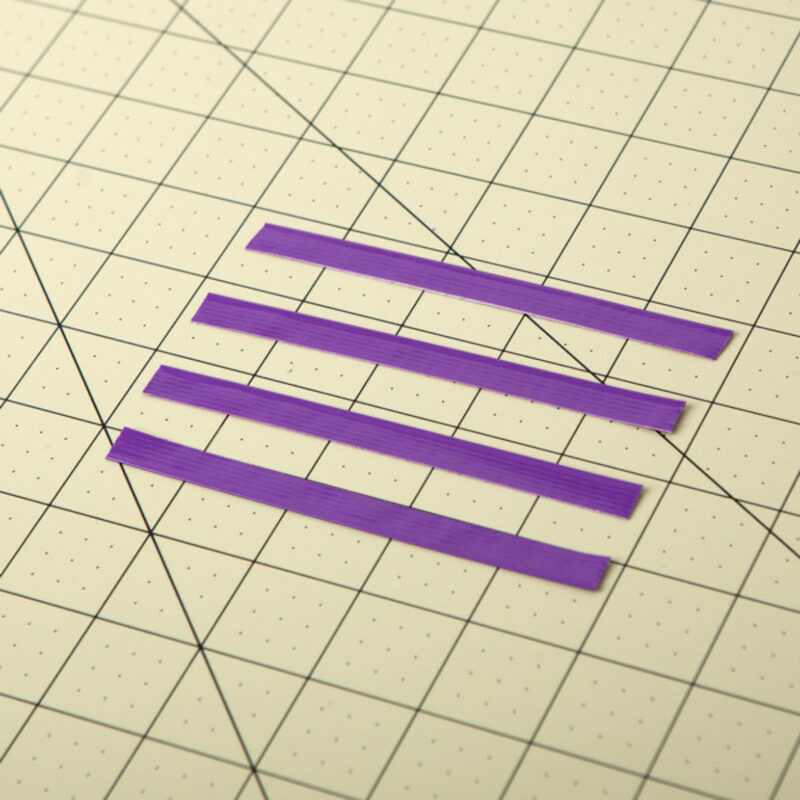 Crisscross 2 of your strips over top of one of your pieces of card stock. 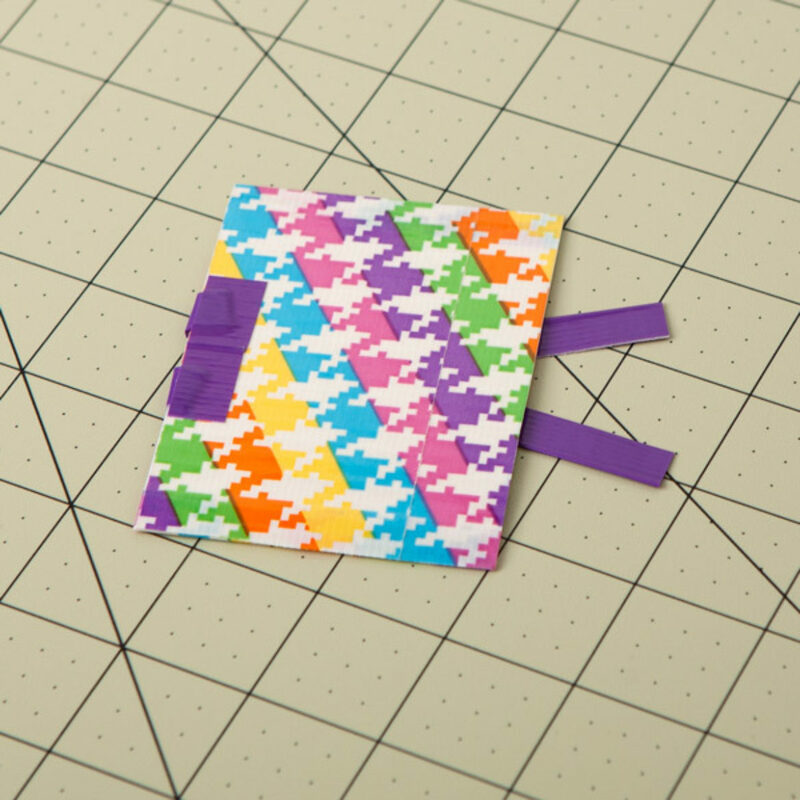 Fold the excess over the left edge and secure them using small pieces of tape. 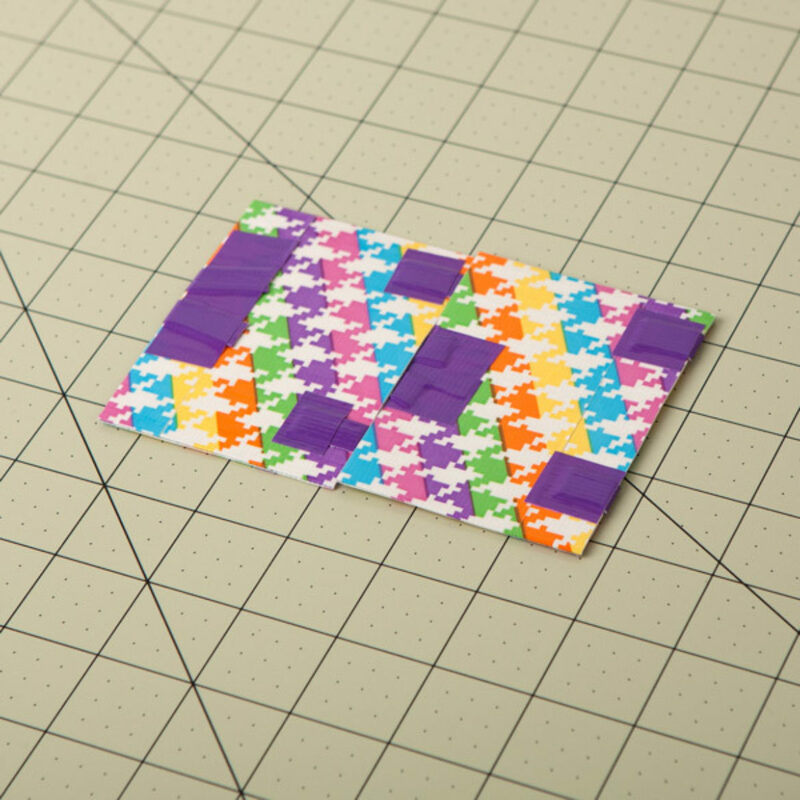 Place your second piece of covered card stock next to the first piece, making sure it’s on top of the other excess strips of tape. 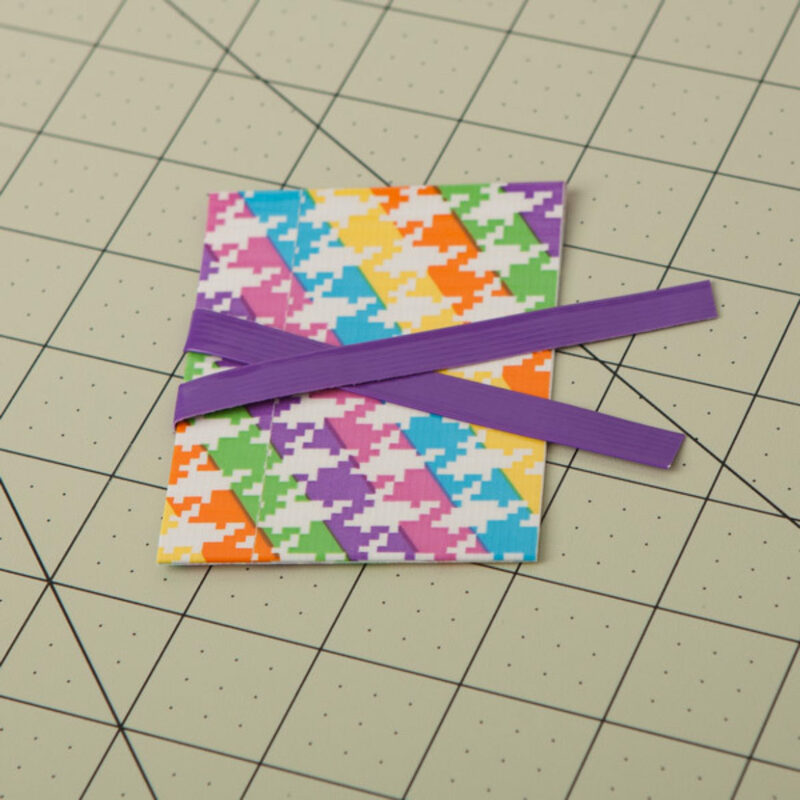 Take your last 2 strips of tape from step 4 and slide one in between the pieces of covered card stock on the top and slide one I between them on the bottom. 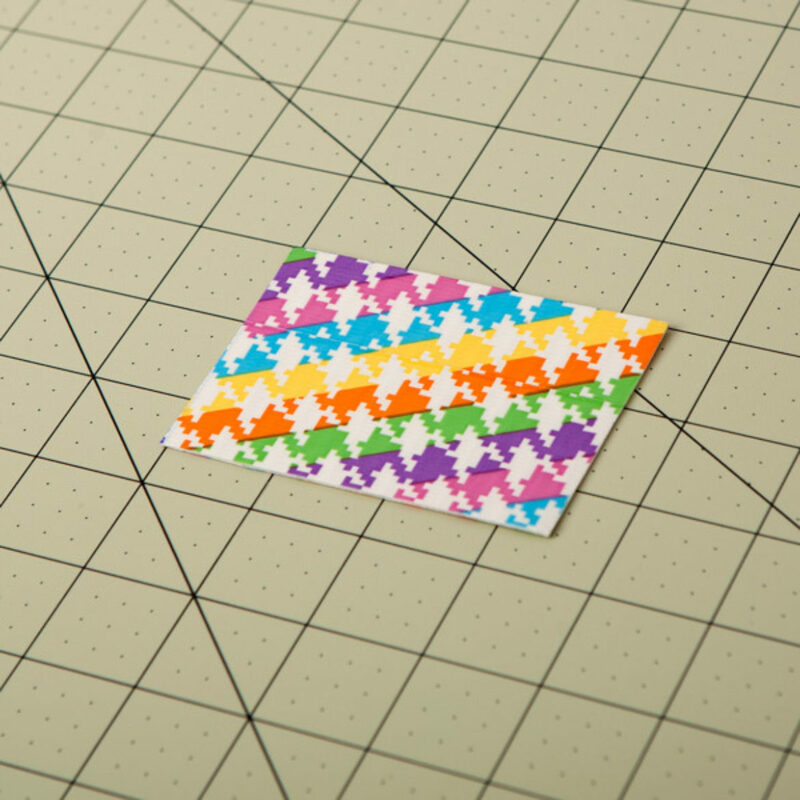 Flip both pieces of card stock over and flip the excess tape over the back. 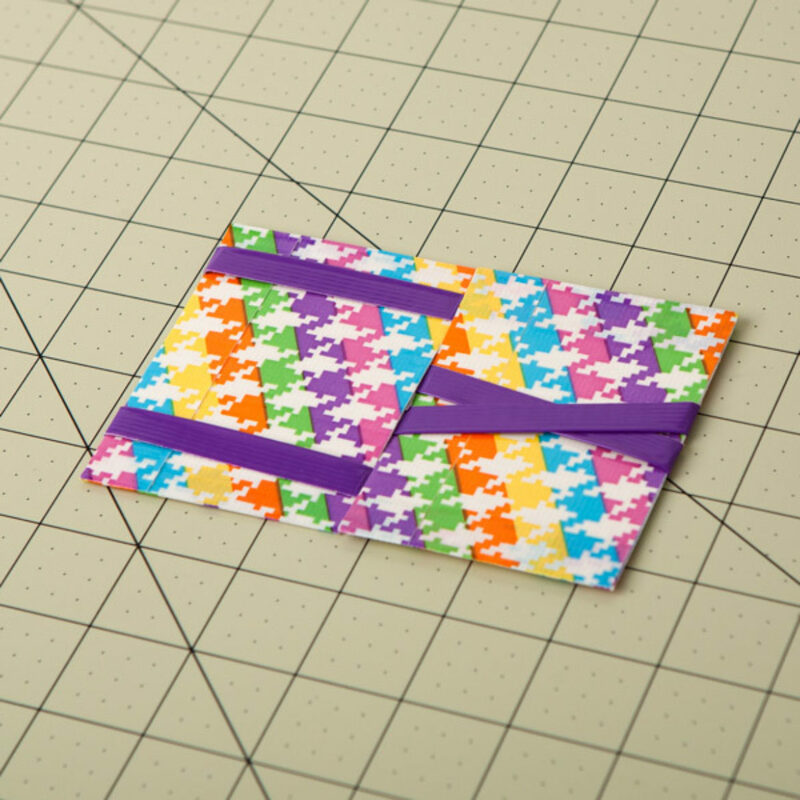 Secure the strips with pieces of Duck Tape®. 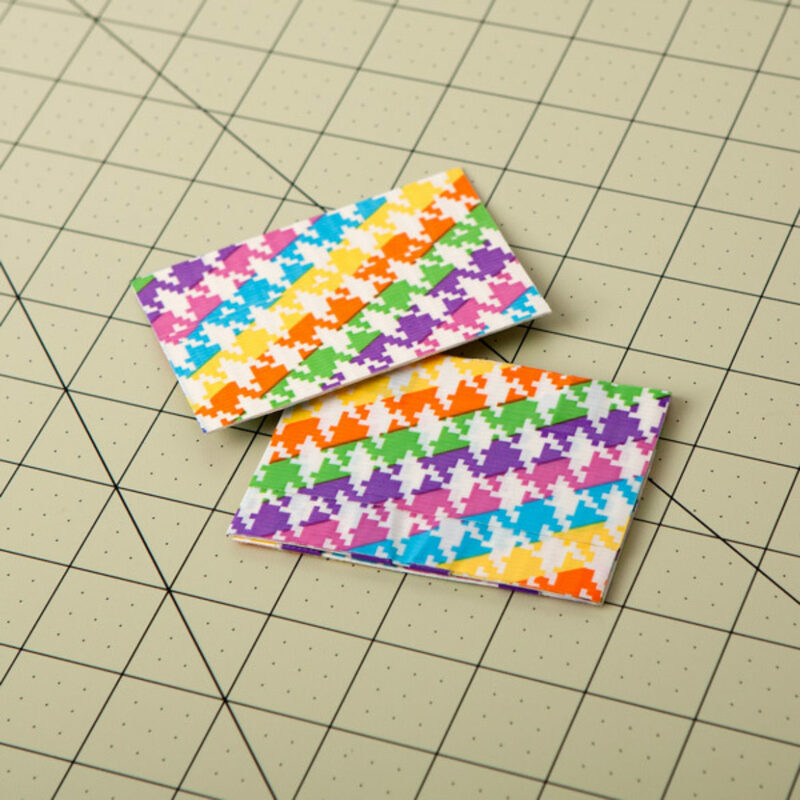 Cover the outside of the wallet with Duck Tape® for a finished look. Keep your locker stylish with this easy to make organizer. 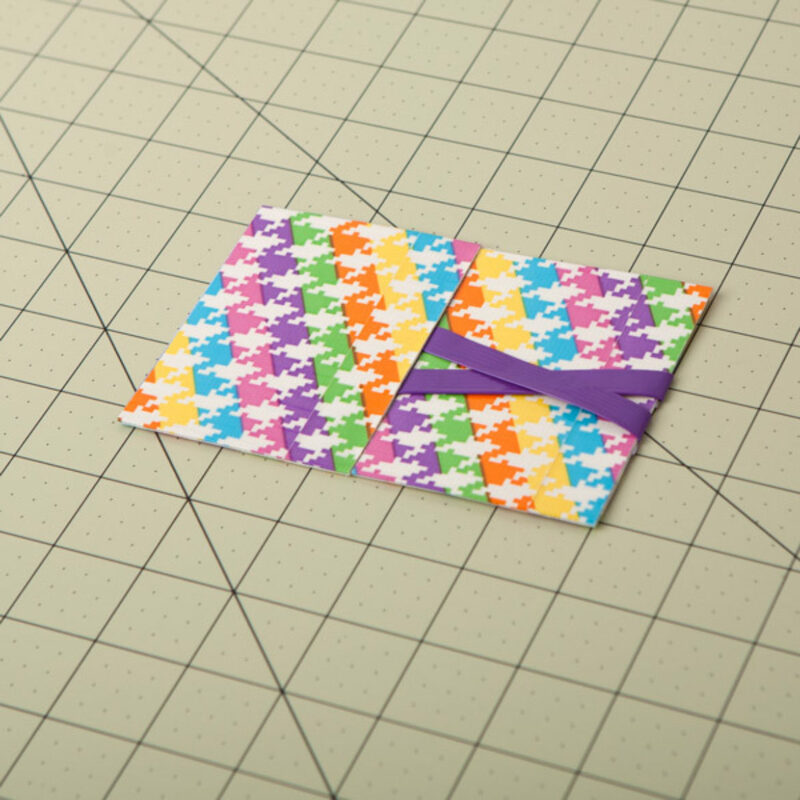 Design your favorite Duck Tape® holiday décor.